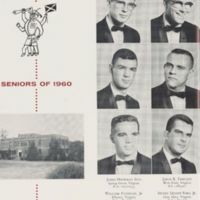 The Web 1960 "Seniors of 1960 Richmond College"
There is an illustration of the Confederate spider on a Richmond College senior section page of the 1960 yearbook. It holds a diploma and a Confederate flag, and is wearing a mortar board. "Confederate Spidey" was the university's "unofficial" mascot from around 1950 to the early 1970s. Virginia Baptist Historical Society, The Web (1960): 78. Available online via the UR Scholarship Repository. 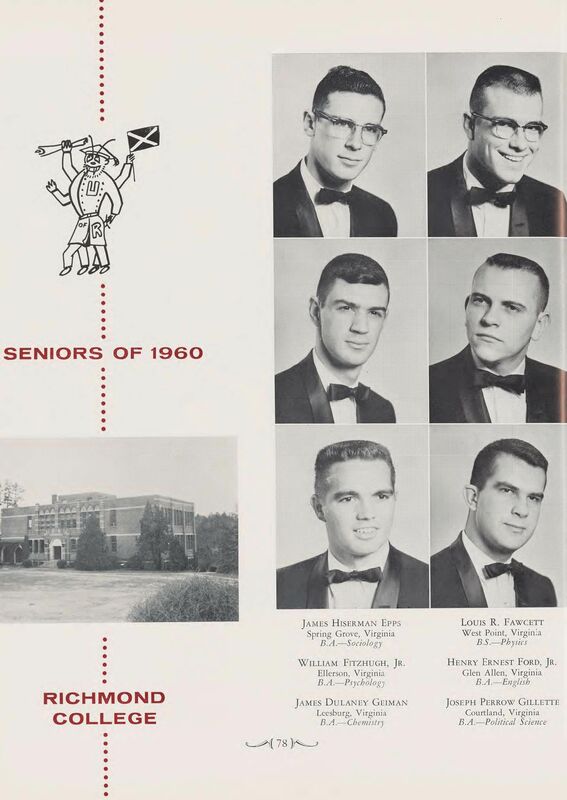 “The Web 1960 "Seniors of 1960 Richmond College",” Race & Racism at the University of Richmond, accessed April 18, 2019, https://memory.richmond.edu/items/show/2690.